Movers and Shakers of the karaoke world gather in Nashville to discuss the State of the Industry. 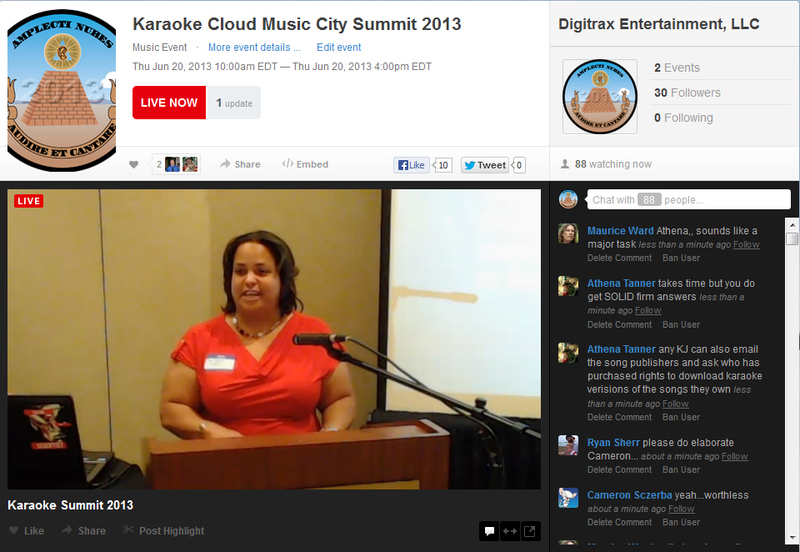 DigiTrax Entertainment, hosts of the 2013 Karaoke Cloud Music City Summit have posted the full videos of the event, including speaker break-outs. 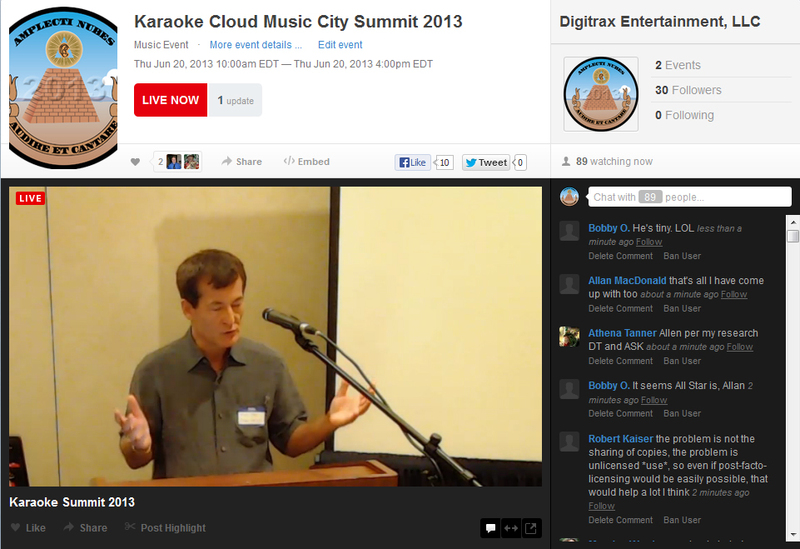 The entire event, recorded on Livestream, is available here. Video break-outs by speaker are below the jump. 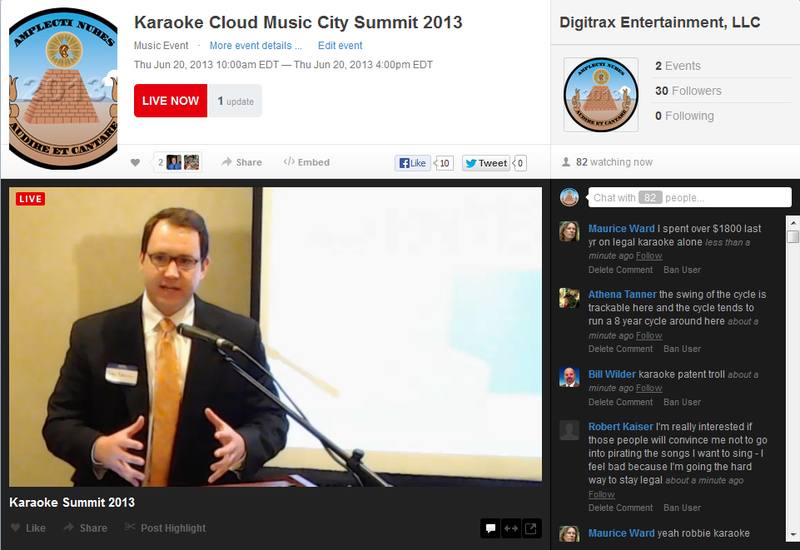 A list of songwriters who refuse to license their works for karaoke singers was opened to the public at the 2013 Karaoke Cloud Music City Summit on Thursday, June 20, with more than a few astonishing names making the list. KCPro-2-Own has just been released. Play-A-Tab helps novices learn guitar along with their karaoke. 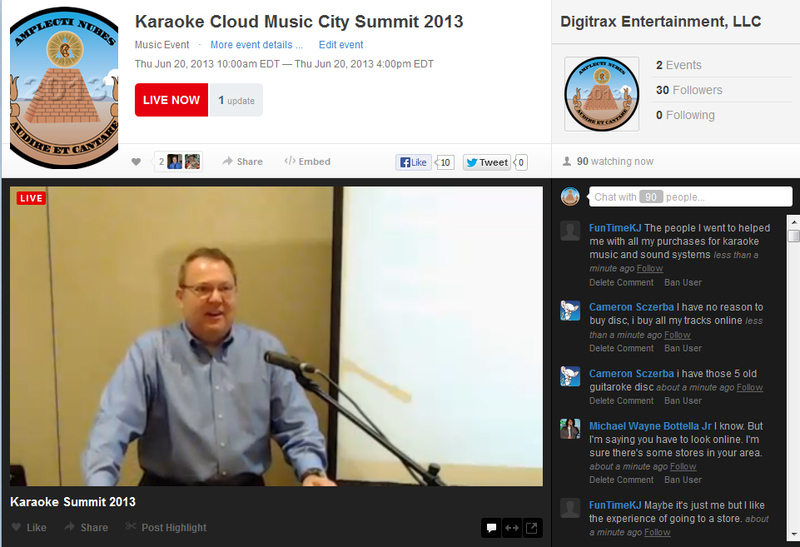 Acesonic is building Karaoke Cloud right into the KOD-3000 unit. More on this after the Summit concludes. Everyone’s idea of “essential information” differs. 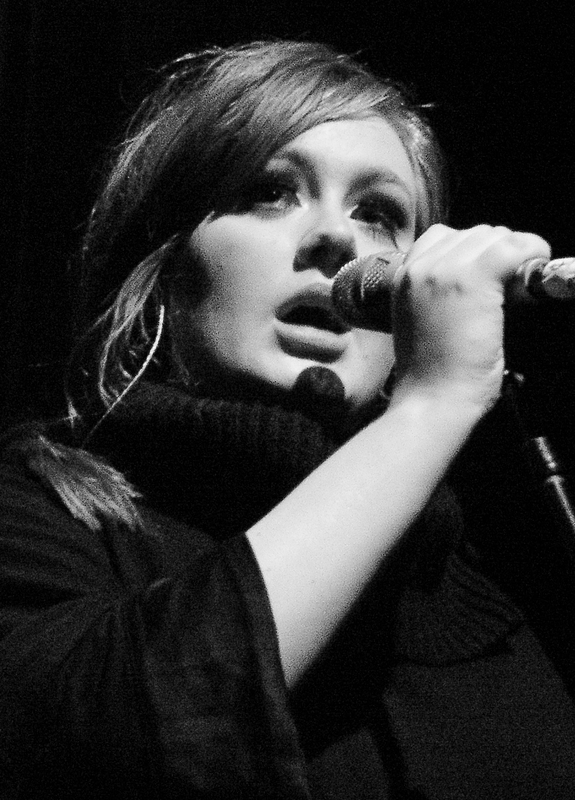 It’s way too difficult to track down the publishers for every song as the data stands now. We can post a file for all to use and contribute to. Allen Jacobi came back to the podium to promote the idea that the database should be crowd-sourced and open-source. If a person or organization has data to contribute, the database would be opened up to them to include their data. The full, correct database would be available to the public. More on this subject after the Summit ends. There are 45,000 karaoke venues, and most have not yet been investigated. Reporting piracy is easy – visit soundchoice.com to do so. KJ/Venues who settle their suits get solutions that allow them to continue operations. Lawsuits seem to drive sales, based on the numbers. Slep-Tone would prefer not to base their business model on suing people. Publishers – please help us prosecute the pirates using abandon-ware. There are affordable solutions – KJs don’t have to steal their music to stay competitive. For more on Kurt’s talk, check back with us after the Summit has concluded. Roby Robinson is an attorney for Piracy Recovery, LLC. He litigates against karaoke pirates, and here are some bullet points from his talk. “Ignorance breeds folly.” Not knowing the law can be your undoing. The Chartbuster trademarks have passed to Piracy Recovery, LLC. Chartbuster’s copyrights are owned by World Wide Digital, LLC. DigiTrax Entertainment, LLC licenses the old Chartbuster copyrighted works from WWD. Piracy Recovery is actively working to bring more illegal KJs to justice. More on Roby’s talk after the Summit concludes.